You can witness almost everything of fascinating Arab ranging from Arabian sailing boats to old weapons and pearl-diving outfits to an impressive range of military artifacts. The museum houses colourful life size dioramas, sets of pearl, merchants eights and scales and many more, provide a deep insight into the old Arabian lifestyle. The most impressing and amazing exhibit at the Museum is a 3,000- 4,000 years old complete grave from the Al-Qusais archaeological site. Al Bastakia Area in Bur Dubai dates back to the early 1900s, this area represents an important area in the history of architecture, and the urban development of town. The masons who constructed the building, therein have left an indelible mark on the town's heritage. 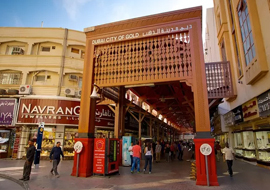 The area has always fascinated visitors to Dubai and artists, who are enamoured by its elegant wind-towers, gypsum decorations and woodwork, and the lanes that meander through the district. Gold is serious business in this part of the world and the dazzling souk near the Hyatt Regency stands testimony for this. The gold souk, or gold market, is a truely dazzling sight to behold. 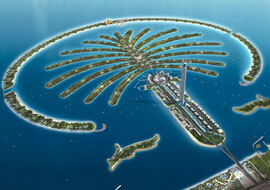 It has earned Dubai a reputation for being the 'City of Gold'. The market offers earrings, rings, necklaces, bracelets and pendants. To entice you further, many different shades of gold are also available. 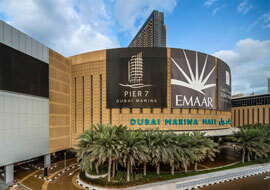 Marina Shopping Centre, City Centre, Ibn Batuta Mall, Mall of Emirates, Burjuman, Wafi City. See the Golden sand Dunes of Arabia in 4 wheel drives where you experience the thrill of a life time, roller coaster ride on the sand dunes. 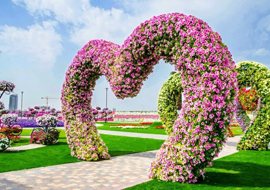 Fujairah is regarded as the prettiest part of the country. It boasts a museum showcasing archaeological and ethnographic displays, a spooky old town and a 300 year old fort. 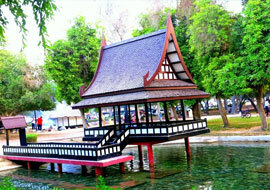 Al Ain is known as the "Garden City" Al Ain is approx. 1.5 hours drive from Dubai. 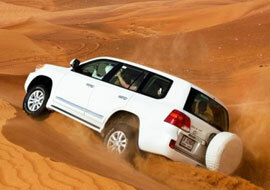 The city is a large Oasis in the desert and its name in Arabic means source. The Palm Dubai and The Palms, are the world's three largest man-made islands, which are being built on the coast of the emirate of Dubai, in the United Arab Emirates (UAE).